Malawi, a landlocked country in south-eastern Africa, is defined by its topography of highlands split by the Great Rift Valley and enormous Lake Malawi. The lake’s southern end falls within Lake Malawi National Park – sheltering diverse wildlife from colourful fish to baboons – and its clear waters are popular for diving and boating. Its population is 16 million people and its GDP per capita is USD 226. 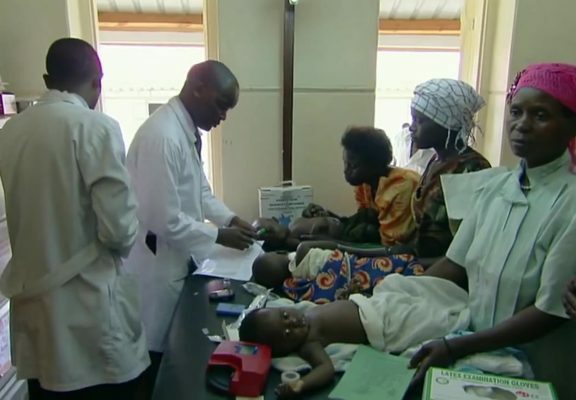 Malawi is a low-income country, but it is showing leadership in domestic financing for health. Under the Global Fund’s Funding Model, the country committed US$ 30 million in 2015 to fund malaria programs and antiretroviral therapy for HIV. With a HIV prevalence rate of about 10 percent, the country has seen significant progress in response to the epidemic, largely due to a big expansion of antiretroviral therapy in the last decade. Even then, the disease still accounts for about 27 percent of deaths in the country. Malaria is the other major cause of death, accounting about 10 percent of deaths. The Global Fund investments in the country focus on reducing the burden of AIDS-related illnesses and deaths by supporting prevention and treatment of the disease. Investments in malaria go toward accelerating the implementation of artemisinin-based combination therapies and supporting malaria prevention interventions to achieve universal coverage of mosquito nets. Funding also contributes to sustainable and equitable TB control. Efficiency of health services/Facility rationalisation strategies/Management capacity.